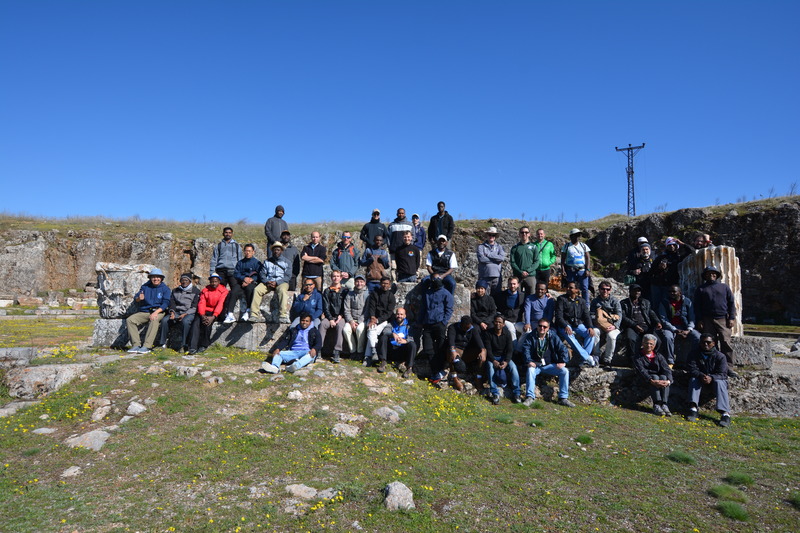 April 6 2018 - Turkey On April 2 at 1 am, the students of the Studium Theologicum Salesianum boarded a bus for a 4 day visit of Turkey. Christians call the land of Turkey the “cradle of the Church” because of its importance in the Church immediately following the resurrection. Our first day was focused on two things: arriving to Turkey from Jerusalem and the Goreme open air museum, home to the unique settlements of 4th century monks connected with St Basil the Great. The buildings are hewn from rocks formed by 9000 year old volcanic eruptions paired with millennia of erosion of the fine sediment. 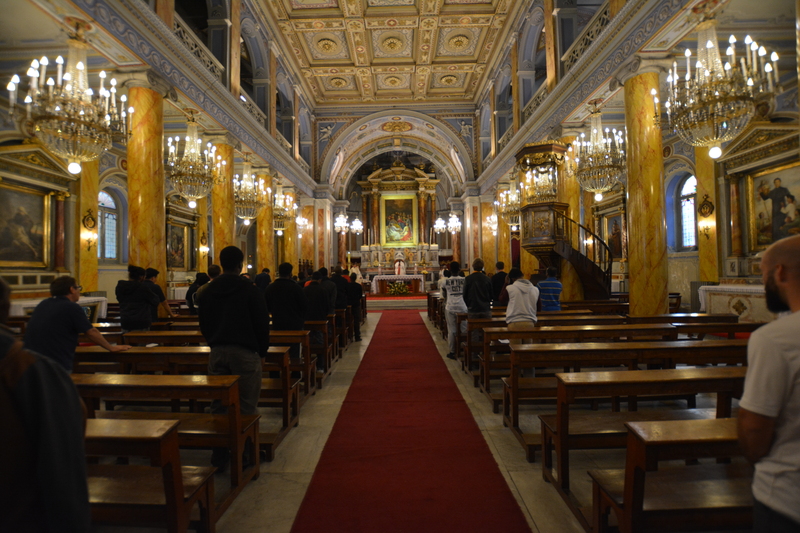 On day 2 we visited two towns central to the life and ministry of St Paul. We began the day in Konya (known as Iconium at the time of Paul). In the early Church it was a significant Christian community. Today it is considered one of the most religious cities in Turkey due to the impact of Mevlana, a teacher of the Suffi Muslim philosophy and founder of the Dervish monasteries. Our visit, especially to the Mevlana museum, was eye opening to the impact of Islam and its beauty as a religious tradition. Our second locale of focus was Antioch of Pisiddia. Paul stayed in this large ancient Roman city six times, including preaching in the city’s synagogue (See Acts 13). The beauty of the area and presence of a temple dedicated to Augustus enlightens the practical things that Paul was referencing when speaking of the beauty of creation and the negative life of the pagans. On our third day, after a long drive from the village of Pamukkale, where limestone and hot springs mix to create the white stones that give the town its name of “Cotton Castle”, we drove to the ancient city of Ephesus. This is the city where Paul lived for at least a year and a half in addition to the times of his multiple visits. We saw the streets he would have been familiar with, the theatre where his disciples Gaius and Aristarchus were brought before the crowd, and the local squares where he would have spoken regularly. It was this city of 25,000 people that was the home to one of the earliest Christian communities, mentioned by John in the book of Revelation, as one of the seven Churches to whom God spoke (See Rev 2:1-7). Finishing our visit, we stayed at the Church of Mary, built on the outskirts of the city, and place where the Council of Ephesus gathered in 431 for proclaiming Mary as the Mother of God (Theotokos). After lunch we visited also the House of Mary. In the 19th century a German nun, blessed Catherine Emmerich, had a dream where she saw the location of the homestead. 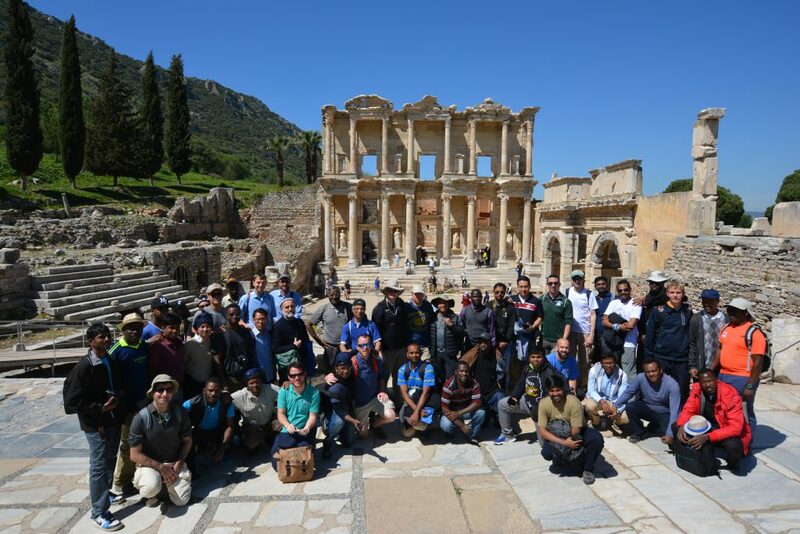 Having never been to Ephesus, she was able to describe the area in great detail. 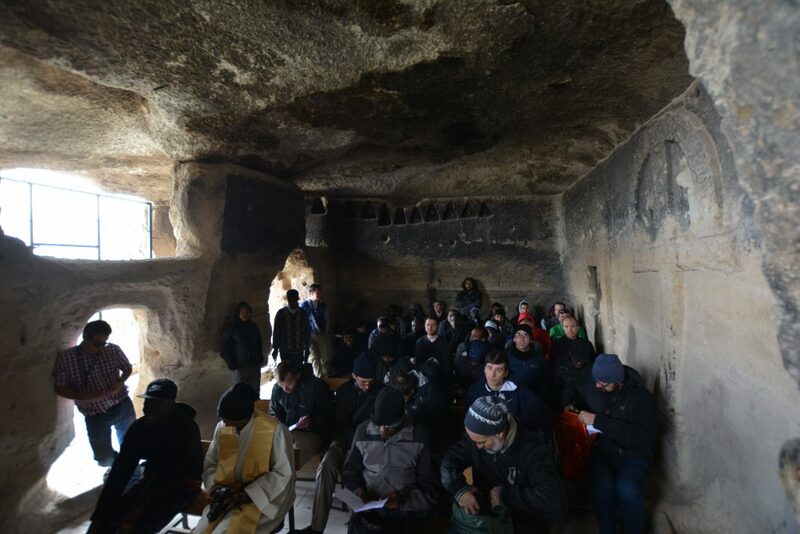 A local priest explored the area and found a 4th century building over a 1st century foundation. It was an experience to pray at this location inside the house alongside Muslim pilgrims from Turkey (Mary is mentioned five times as worthy of praise as being the Mother of Jesus). At the end of an awe-inspiring trip we spent the day in Istanbul. This city showcases how Turkey is a cross between Arab/Ottoman tradition and Western culture. The Basilic of the Hagia Sofia (today, a Museum) and the Blue Mosque not only witness the ability of humanity when it comes to architecture and design, but also the rich history of this region. The images of these magnificent places speak for themselves. The highlight of the day was visiting the Cathedral of St Esprit, administered by the Salesians. It was a great moment of Salesian family spirit as we were greeted by the Rector of the community, Pastor of the Cathedral, Principal of the school, and the German Provincial on visitation to the community. It is opportunities such as these that make the experience for an STS student, different than anywhere else in the world. To be at the heart of history, both global and biblical, and experience these locations in lived experience, is simply priceless. Peace and greetings to you from Mali. I read this report with great pleasure. It has helped me to re-live once more what I experienced in Turkey few years back on a similar trip. Well-written report! Thank you very much Leonard Carlino. Keep it up ! Long live beloved STS !